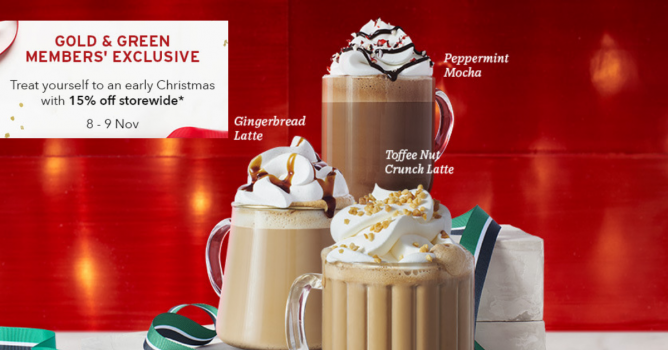 Home > Dining and Gourmet > Cafe > Starbucks: Peppermint Mocha, Gingerbread Latte & Toffee Nut Crunch Latte Available from 8 Nov + 15% OFF for Starbucks Gold & Green Members! Locations: At all Starbucks Singapore stores except Changi Airport. Promotion is exclusive to Gold and Green members only from 8 to 9 November 2018 at all Starbucks Singapore stores (except for stores located at Changi Airport). Payment has to be made with a registered Starbucks Card. 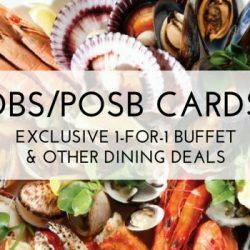 Not valid with any other promotions or privileges. Other terms and conditions apply. Toffee Nut Crunch Latte, Peppermint Mocha and Gingerbread Latte are here, and bringing the festivity all holiday season.Mmm, Toffee Nut Crunch Latte, so luxuriously buttery and sweet. Our signature espresso is combined with steamed milk and toffee nut sauce before being topped with whipped cream and crunchy toffee nut bits. Sipping one feels like a big, warm hug. Hot and cool at the same time, the Peppermint Mocha is like a party for your taste buds. This holiday classic is made with our signature espresso, steamed milk, sweet mocha sauce and peppermint-flavored syrup. It’s all topped off with whipped cream, a dash of mocha drizzle and crunchy red and white candy bits. Completing the festive line up is the Gingerbread Latte. Sweet and delicately spicy gingerbread flavors mingle with our classic espresso and steamed milk. The drink is finished with a spice-infused whipped cream and a brown sugar drizzle for the perfect holiday touch. 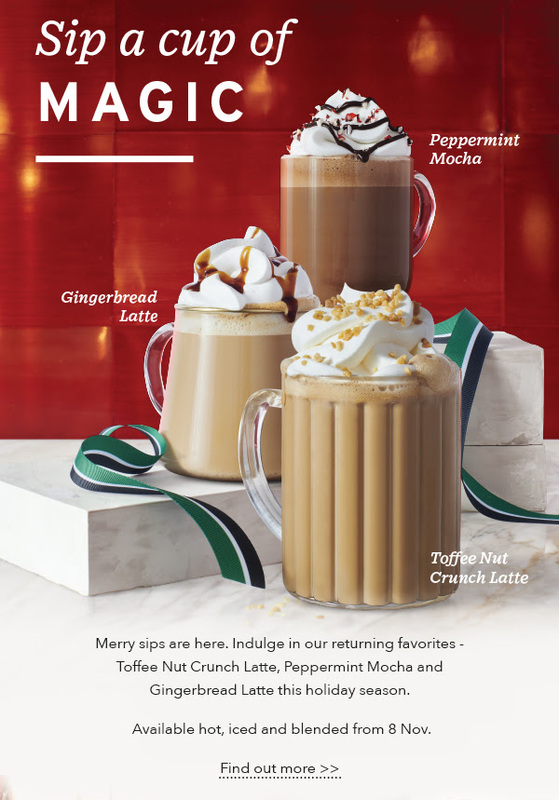 It’s official, the holidays are here.All drinks are available hot, iced and as a Frappuccino® Blended Beverage. 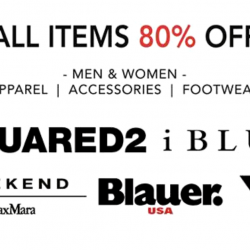 Next: Levi’s: VivoCity Store Grand Opening with FREE Jeans & Tops + Buy 1 Get 1 FREE on Apparel Storewide!